Corsair is one of the most recognized names in PC gaming peripherals, memory, cases and other components, today announced the availability of its new Dominator Platinum Special Edition CONTRAST DDR4 memory. Finished in an elegant high-contrast design of pearlescent white and high-gloss black, Dominator Platinum Special Edition CONTRAST truly stands out, accented by an integrated white LED top bar. The Color Combination can pair well with all white, white and black or even mostly black motherboards. Combining the clean, iconic lines of Dominator Platinum with a crisp monochrome look and individually numbered for that special treatment, Dominator Platinum Special Edition CONTRAST offers a premium level of PC personalization that’s unlike any other. Dominator Platinum Special Edition CONTRAST is built to standout when it comes to performance, just as much as styling. 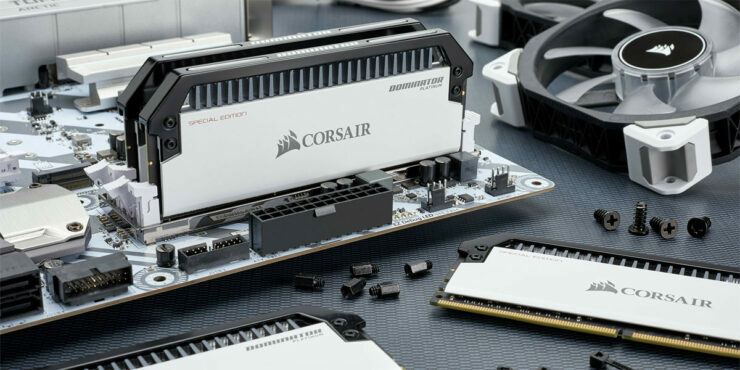 Available in both dual and quad-channel kits, Corsair says every module is rated for 3,466MHz using carefully screened and selected Samsung memory which is most likely B-Die, they also specify Intel systems spouting that they are ready to push the latest Intel platforms to their limits. Combined with Dominator Platinum’s industry leading 10-Layer PCB and patented DHX cooling technology, the result is DDR4 memory with performance that invites overclockers to push it even further. While frankly very expensive at over $400 USD the kits are absolutely stunning and would make a great complement to a themed build. Many in the comments section will mention that other kits from other manufacturers would be cheaper, and for the most part they are right but the ultra high end builds that pack dual 1080TI’s a high end CPU and a premium motherboard would look fantastic with this kit, as well as it probably a quite good overclocker. The only kits listed are two 32GB kits, both clocked at 3466MHz with one being quad channel 4x8GB and the other being dual channel 2x16GB. Pricing data is below. 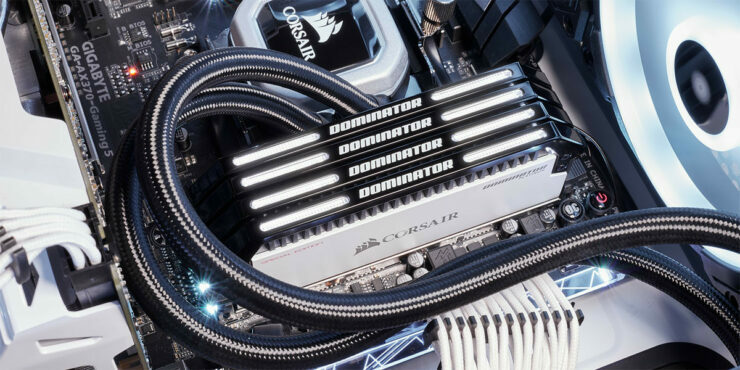 Dominator Platinum Special Edition CONTRAST is initially available exclusively from the CORSAIR webstore in the United States, UK and Germany, and is backed by a limited lifetime warranty and the CORSAIR worldwide customer support network.